I am very saddened to hear of Marcia’s passing. She & I were across the hall at WFHS for 9 years before I left. WOW, What A Great Lady. Dear Lebos family, I am so sorry to hear Mrs. Lebos is gone. She was the best French teacher . I used to baby sit you both when you were little. She was a wonderful mother , teacher , and friend. My heart goes out to all of you on the loss of your Mom and Wife. I am so sorry to learn of this. May all your happy memories sustain and enrich you. We wish that we could have been with you today, but our thoughts are with you now and in the days ahead as you go through this difficult time. In the meantime, we will remember having fun with you both in France and Canada and on visits to see you in Savannah. Dr Lebos I am so sorry to hear of your loss. I wish you and your family warmth, strength , and courage in the days to come . Mrs. Lebos was my French teacher for four years. She truly cared about her students. She will be greatly missed! I worked with Marcia at Myers Middle School and later at Windsor Forest High School, as a fellow teacher and as her assistant principal. She was a brilliant teacher with high standards, yet her sense of humor, wit, and love were the traits that made her students want to meet her expectations. And they did. She had second period planning in the teacher’s workroom, across the hall from my office: I could hear her wonderful stories of trips abroad with her students and sense the care she put into everything she did. 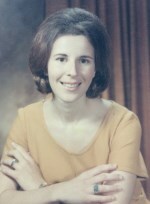 Marcia was a terrific teacher. I will never forget all of the good she brought, not only into my life, but into the lives of her students..
At this time which combines both Thanksgiving and farewells my heart is with Harvey and his family as they celebrate the vibrant force that is Marcia. I was fortunate to meet her on several occasions at meetings with Harvey and his deep love for her was quite apparent. Her beautiful soul also showed brightly through her eyes. I pray that God’s peace as the Lebos family goes through these early days of separation and know that they can take solace in and can relish the evidence of her spirit all around her beloved Savannah through the coming Holy Season. Dr. Lebos, Mark and David … So sorry to know of your loss. I know she was an extremely special and important person in your lives. She was obviously well loved by you all. Take care and God bless you and all your family.